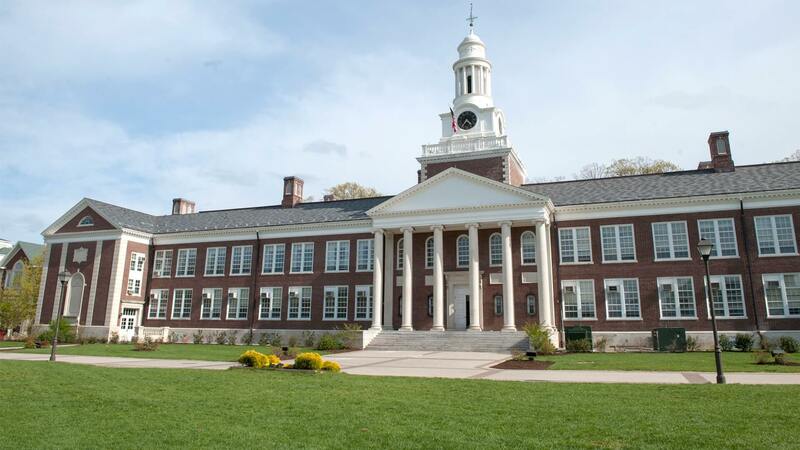 The College of New Jersey (TCNJ) is a highly selective institution that is consistently recognized as one of the top comprehensive colleges in the nation. Founded in 1855 as the New Jersey State Normal School, TCNJ maintains the seventh highest four-year graduation rate among all public colleges and universities. It is ranked by Money as one of the top 15 public colleges “most likely to pay off financially,” and U.S. News & World Report rates it the No. 1 public institution among regional universities in the northeast. Known for its natural beauty, the college is situated on 289 tree-lined acres in suburban Ewing Township, New Jersey, in close proximity to both New York City and Philadelphia. A strong liberal arts core forms the foundation for a wealth of degree programs offered through the college’s seven schools: Arts and Communication; Business; Education; Engineering; Humanities and Social Sciences; Nursing, Health, and Exercise Science; and Science. Five signature experiences are the hallmark of a TCNJ education. They include a personalized, collaborative, and rigorous education; undergraduate research, mentored internships, and field experiences; community engaged learning; global engagement; and leadership development. TCNJ’s longstanding commitment to faculty-student collaboration was recognized in 2015 by the Council on Undergraduate Research, which named the college the recipient of its inaugural “Campus-wide Award for Undergraduate Research Accomplishment.” In 2006, TCNJ was awarded a Phi Beta Kappa chapter—an honor shared by less than 10 percent of colleges and universities nationally. 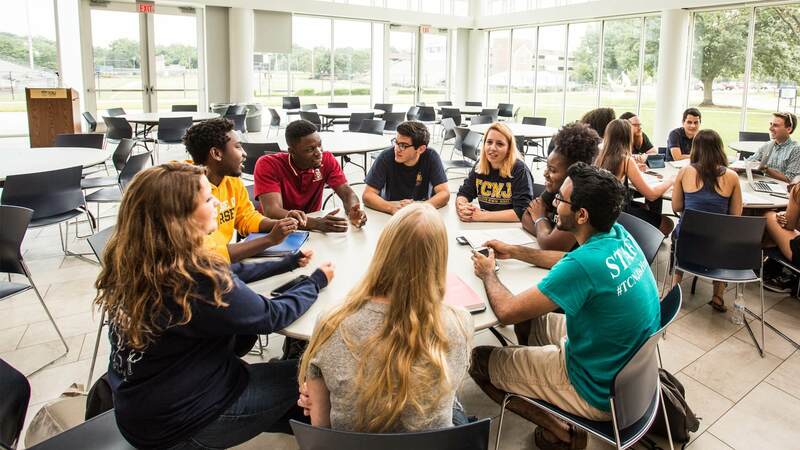 Essential to its mission, TCNJ believes in the transformative power of education to develop critical thinkers, responsible citizens, and lifelong learners and leaders. Leadership programming is offered throughout an undergraduate’s career, as well as other programs and services aimed at students’ social, emotional, career, academic, spiritual, and physical development. TCNJ encourages students to expand their talents and skills through more than 200 campus organizations. These groups include performing ensembles, professional and honor societies, student publications, fraternities and sororities, and intramural and club sports. High achievement and scholarship in the classroom have been mirrored by the success of The College of New Jersey’s varsity student-athletes. Since the 1978–79 Lions wrestling team captured the college’s first National Collegiate Athletic Association (NCAA) team championship, TCNJ has established itself as one of the nation’s most successful Division III programs, winning 40 team and 49 individual NCAA championships. TCNJ enrolls approximately 7,400 students including 6,790 undergraduates and 610 graduate students.